One last stop in Washington was intended to simply highlight the focus on glorious local foods at one market but ended up being our lunch stop. 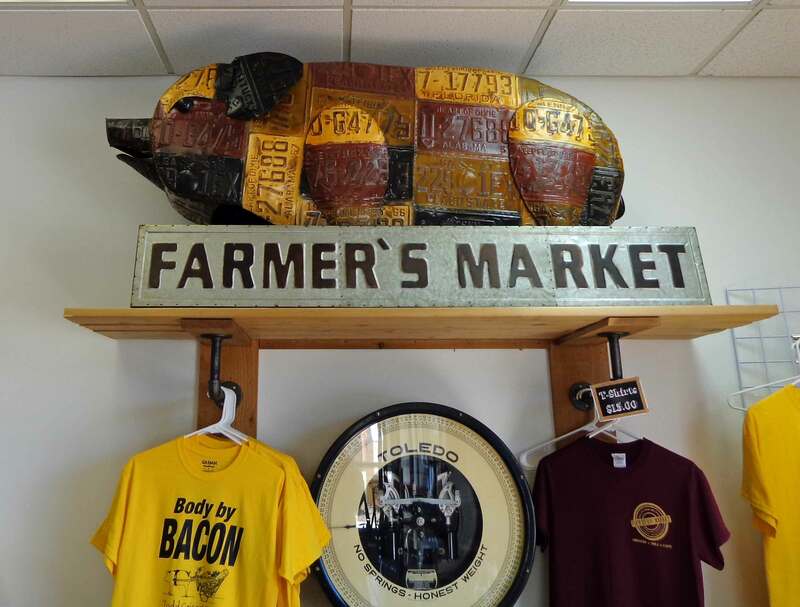 Farm to You Market is owned by the Geisert family, who also own the organic, free-range, heritage hog farm down the road (which we passed). In case you didn’t realize the owners raised pigs! Not too surprisingly, there are a few dandy pork products on the menu in the bright, tidy lunch room. I had been told often enough by experts that jowl bacon (better known in some circles by its Italian name: guanciale), and when I saw it on the menu, I had to try it. It was intense—richer than belly bacon. I actually had to take most of it home, it was so rich and fatty. But then that might be because it was a side order that I had in addition to the kobe beef burger that was my meal. 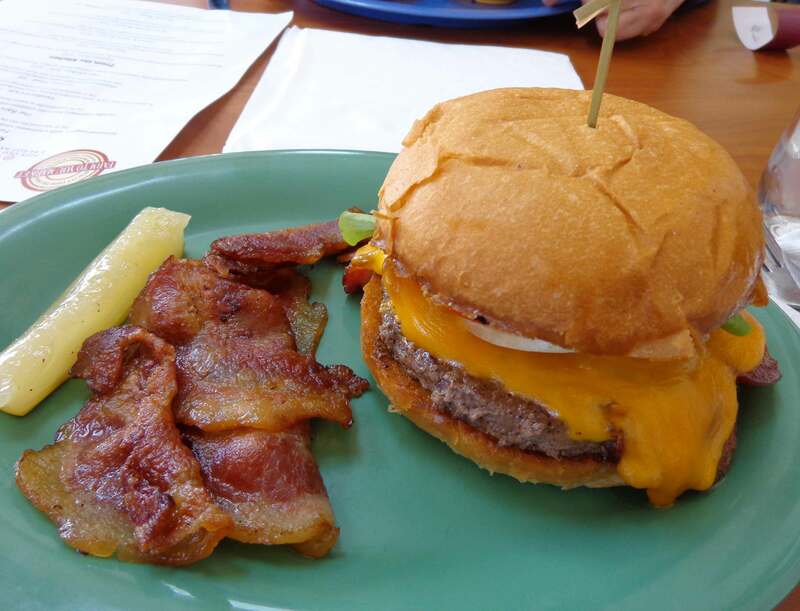 Hard to imagine a better burger: kobe beef, cheddar cheese, freshly made bun, bacon, and organic lettuce and tomato. Yum. That’s the jowl bacon on the left, next to the pickle. Wow. It was fun to tour the store, as well, and see some of the fun local products—including Pinckney Bend whiskey. 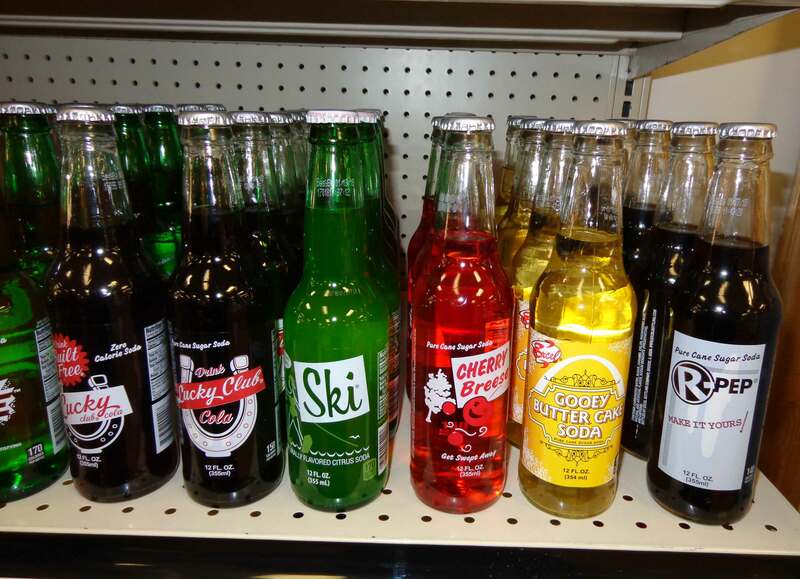 But lots of pork products, organic vegetables, baked goods, and locally produced sauces, jams, and soda pops. Great fun. 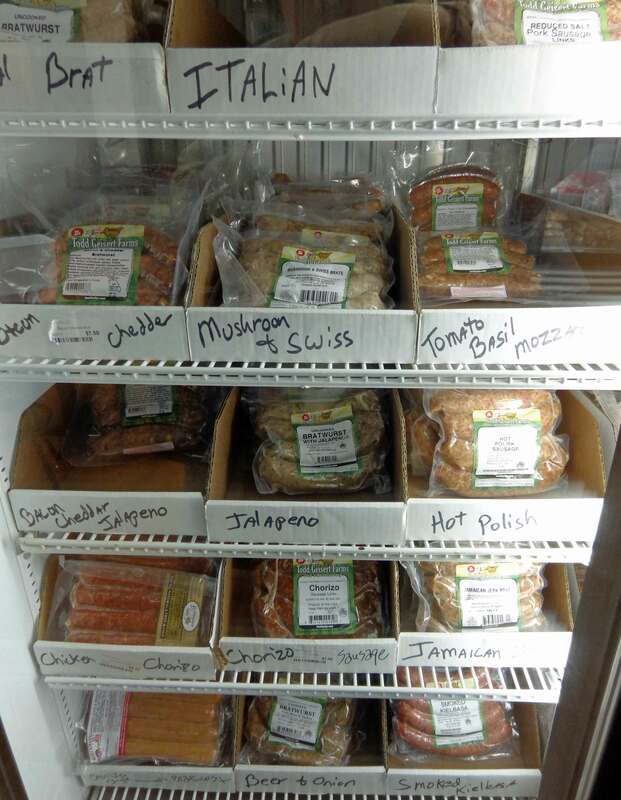 Locally made bratwurst and sausage. One item at the Washington Historical Society Museum caught my attention because it was familiar. 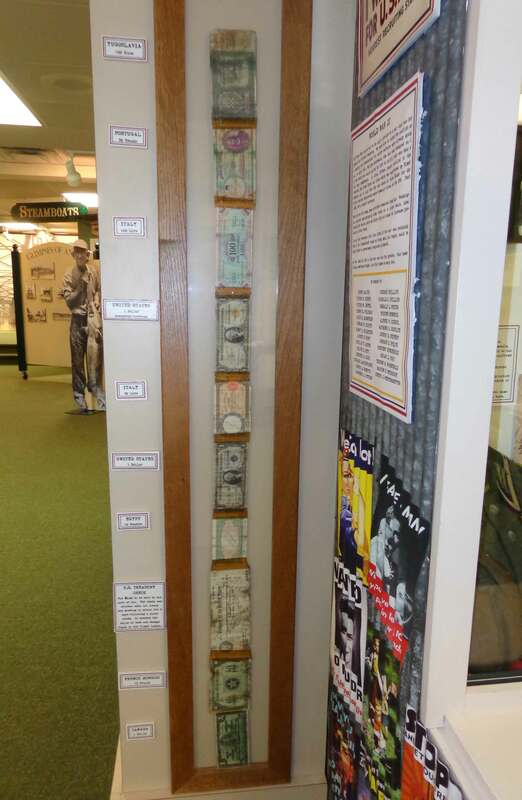 In a display highlighting the service of a local hero, an Army Air Corps bomber pilot from World War II, they had a Short Snorter. It was only the second one I’d ever seen, the other one having been my father’s. My dad was also in the Army Air Corps (ancestor of the Air Force) during World War II, and it was the fliers who created these mementos of their time in the service. To make a short snorter, you tape together paper money from every country in which you serve, and then have your friends and fellow fliers sign it. The bills/notes are rolled tightly and kept in one’s pocket, to be handy when another friend was made and needed to sign. Anyway, I was delighted to see this reminder of my father. It was also nice to see that someone else really had participated in this charming tradition. Next place we visited was the Washington Historical Society Museum. I like small-town museums, but this exceeded expectations—partly because it was such a beautifully and lovingly organized collection and partly because Washington had a history that surpassed my expectation. The region became part of the U.S. with the Louisiana Purchase and, once settlers began to come, trade on the Missouri River made it prosperous. 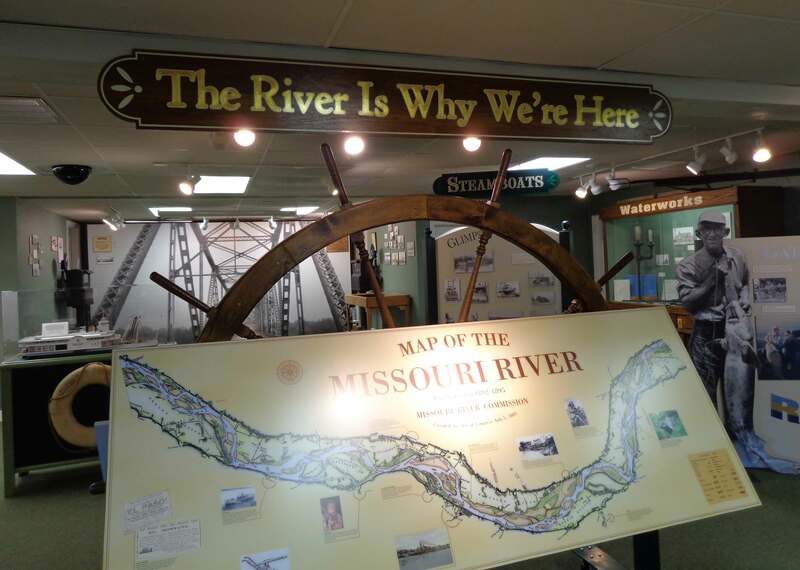 The museum highlighted the role the river played in local and national history, local businesses over two centuries, decorative arts, plants and animals, involvement in the Civil War and two World Wars, and more. The area was largely settled by Germans, so German influence was much in evidence. Two elements of German culture in particular, revealed by impressive displays, fascinated me. The first was the display on the Turn Verein in Washington. I looked these words up, and Turn is from the German Turnen, which means “practice gymnastics” and Verein means “club or union.” So gymnastics club. Old films ran of precision teams doing synchronized exercises. Photos and displays showed equipment and members, and info cards explained a bit of the history. Founded in 1859, the Washington Turn Verein took a break during the Civil War, but then started up again. This was not a local movement, but rather an international phenomenon. From 1878 to 1897, Washington, MO, was the Turn Verein Headquarters for the United States. 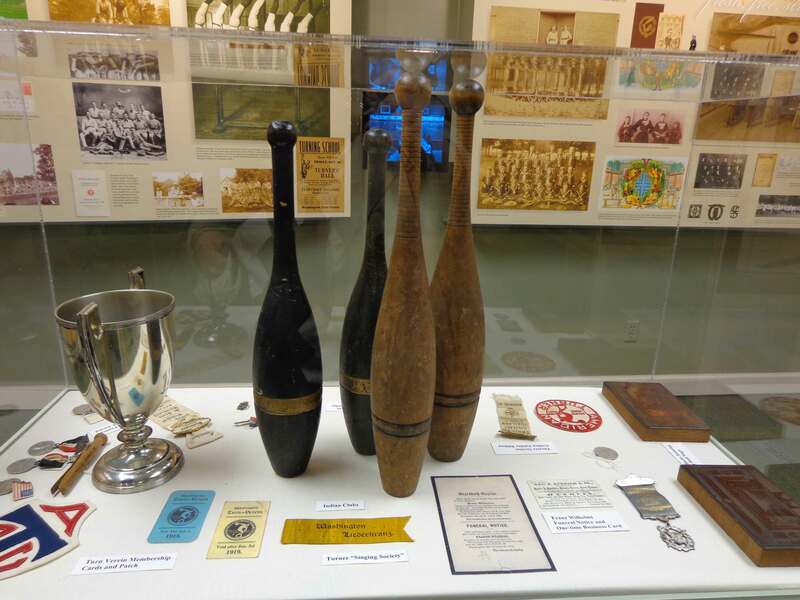 Indian Clubs used in gymnastic routines, with photos of gymnasts behind the case. Then, upstairs, we browsed through antiques, photographic equipment, Native American artifacts, and other local historic items. The largest exhibit, however, was of Franz Schwarzer and his zithers. There was a monitor with a video available—a video which, in fact, had been written and produced by Ralph, my guide for this visit. It revealed a remarkable climb by Schwarzer from local artisan to the best zither maker in the world, with a gold medal from the international competition in Austria. During his very productive career, Schwarzer made approximately 11,000 zithers! 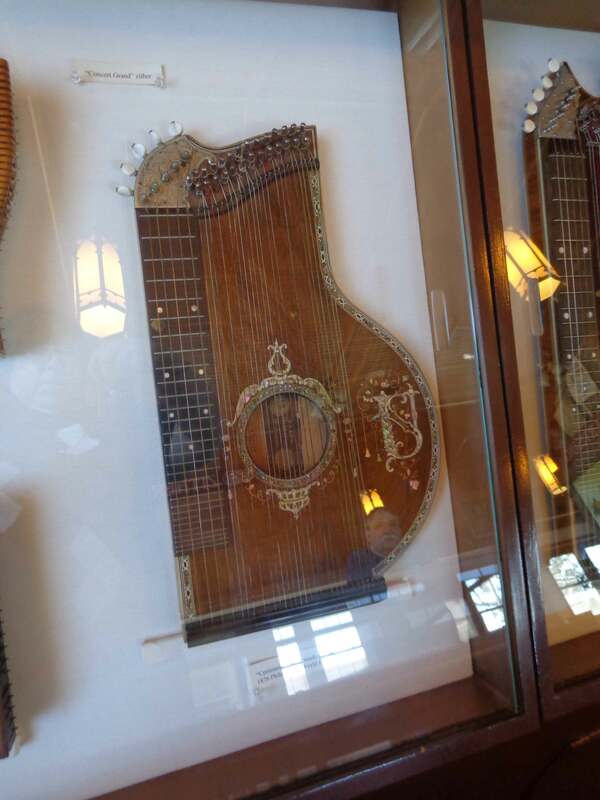 One of the zithers made by Franz Schwarzer. Astonishing to realize that this relatively small town (about 14,000 residents) was at one time the focus of national and international attention. The world is always so much more interesting than one expects. And if you’re interested in more info on Washington, the Historical Society website is very good. 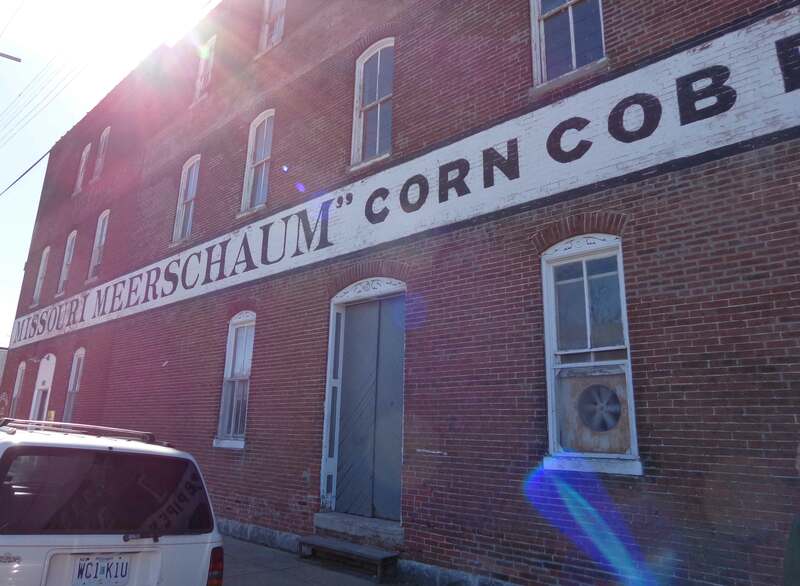 Among the things Ralph did to enrich my visit was arrange for a tour of the historic Missouri Meerschaum corncob pipe factory. This place is 147 years old and has over the years produced the pipes smoked by a wide range of luminaries, including Generals Pershing and Macarthur, as well as Mark Twain and Rudyard Kipling. 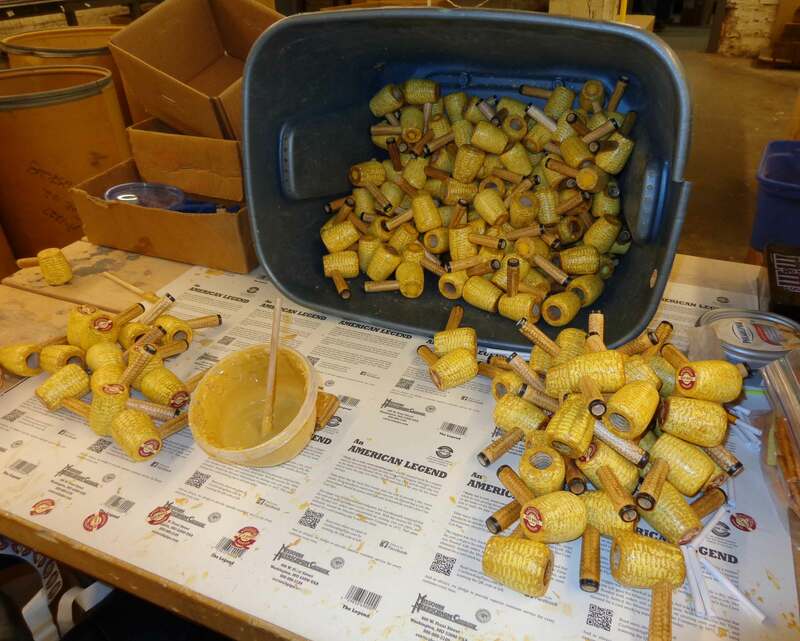 It is not the only company in the U.S. making corncob pipes, but it is the largest and the oldest. The company’s general manager, Phil Morgan, guided us through the rooms of the spacious, old factory, explaining the steps involved in producing the famous pipes—of which they produce roughly 800,000 per year. Not just any corn can be used. The cob needs to be strong and rigid, and it needs to be the right size. There actually is a variety of corn called pipe corn, and the company grows their own. Worth noting is that, as with other operations that utilize corn, nothing is wasted. 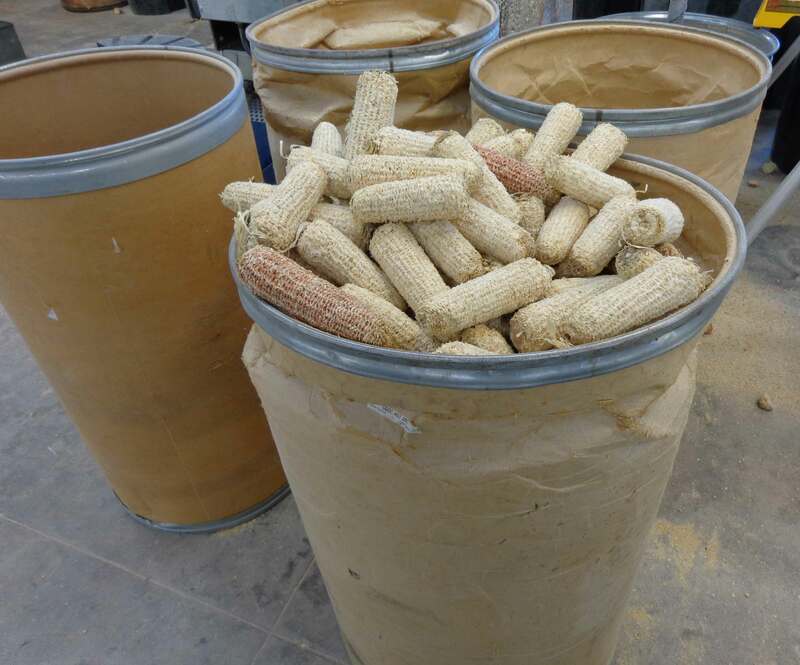 Once the corn is shelled, the kernels go to Pinckney Bend, for their Pipe Corn Whiskey. Then (and you already may have guessed this if you’ve read my book), the protein left after the starch is converted to alcohol is wonderfully rich and a great addition to feed for pigs. So an extremely efficient process. The building is old, but many of the machines are new. 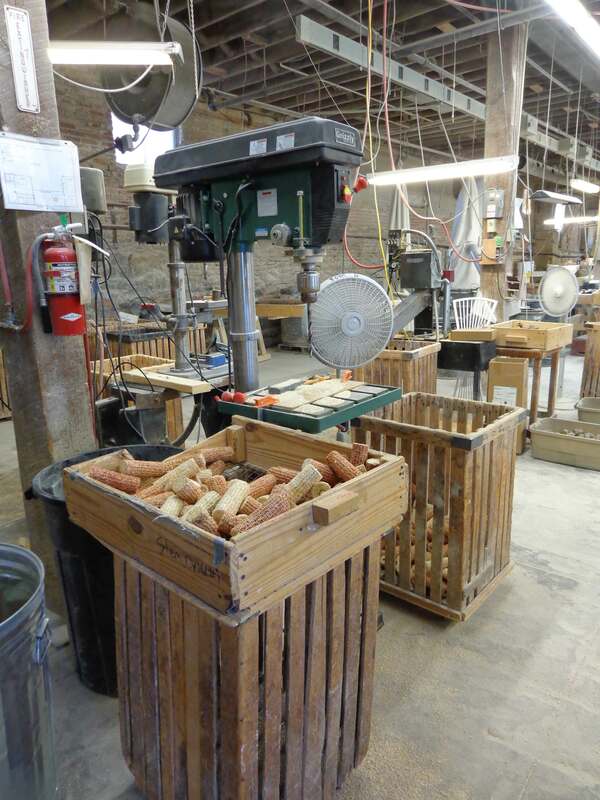 Workers at the many stations cut the cobs, shape them, plug the open ends, add stems, and finish the pipes. I love watching things take shape in skilled hands, and the many veteran employees were clearly skilled. At each station, the corncobs looked more like pipes.